Our Fall 2017 Kitchen and Bath Newsletter focuses on the relationships we have built over 40 years. 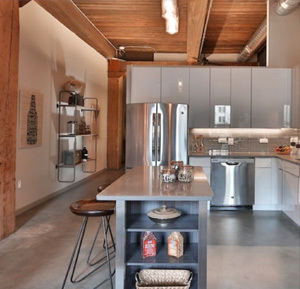 In addition we profile and extraordinary multi-family project in Jersey city. And in conclusion we explore a Morris County Kitchen Renovation and the growing appeal of farmhouse sinks. Builders and renovators often depend on a range of contractors to complete a project. 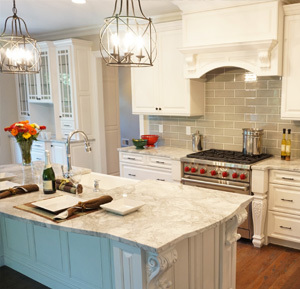 For over 20 years Distinctive Domain, a widely admired custom home builder based in Warren, New Jersey, has used The Kitchen Classics of Vauxhall/Millburn for a range of finishing work. 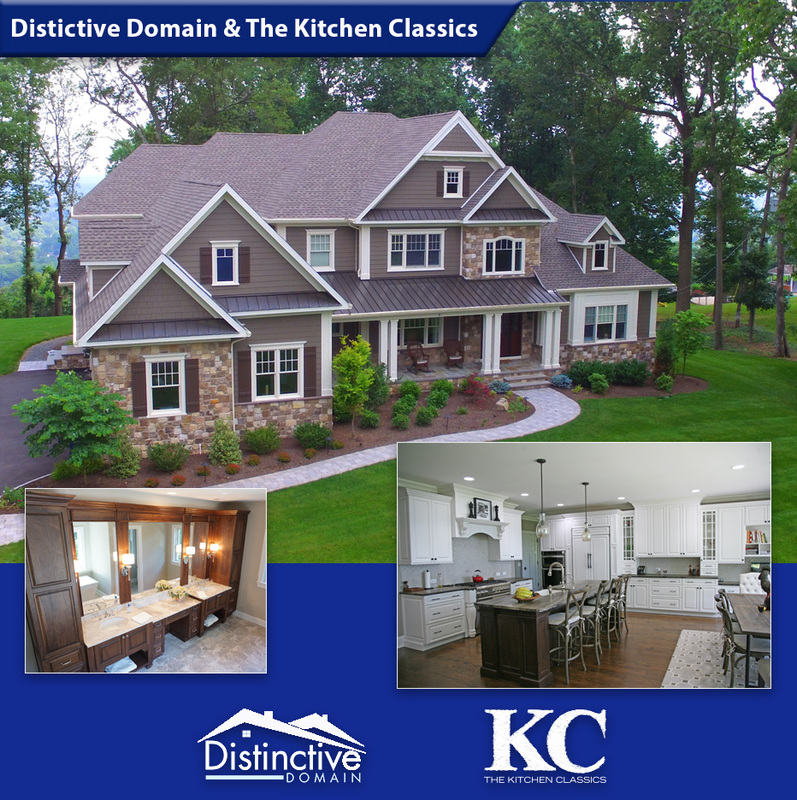 It is common for The Kitchen Classics to handle all kitchen and bath cabinetry and countertops, mud room and laundry room amenities, custom bookcases, and more in a Distinctive Domain home. 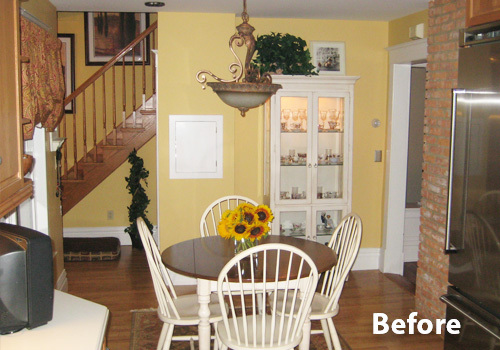 We work closely with the principals to create unique finishing elements throughout the home. 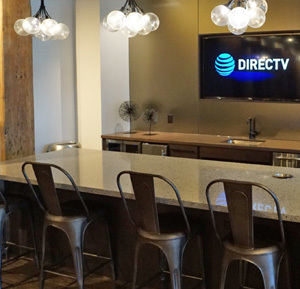 We are thankful for the opportunity to work with the tri-state area's finest builders and renovators. We are able to offer builders a one-stop source for kitchen and bath cabinets and countertops, custom carpentry and millwork, moulding and doors. We would appreciate the opportunity to speak with you about your next project. 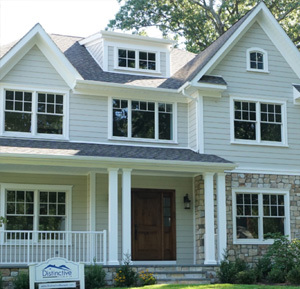 Please contact our builder sales representative Frank Holl at 908-964-7101 or email him here. 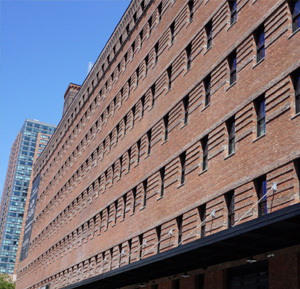 Modera Lofts is a restored 110-year-old, eight-story, 450,000-square-foot historic warehouse built in 1905 in what is now Jersey City's Powerhouse Arts District. 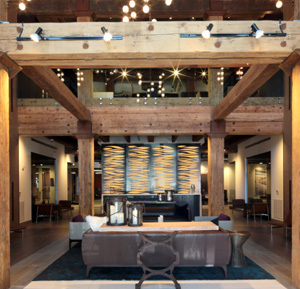 The repurposing of the warehouse into 366 luxury loft-style units that boast 12- to 18-foot ceilings preserved 100-year-old brick, wood beams and columns that give the interior spaces such a unique character. 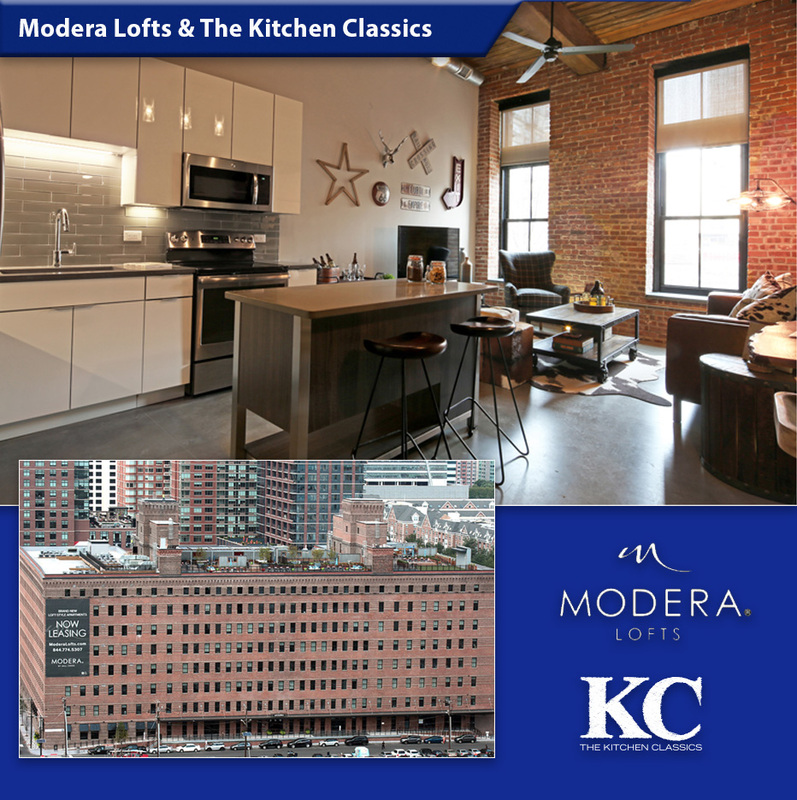 Mill Creek Residential - the developer of Modern Lofts - won numerous awards for their work and commitment in preserving and renovating this exceptional building. 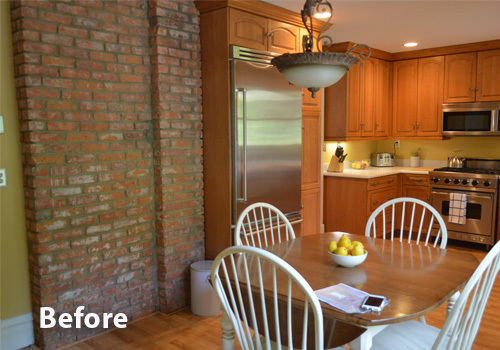 For over 30 years The Kitchen Classics has been renovating kitchens in homes throughout the tri-state area. 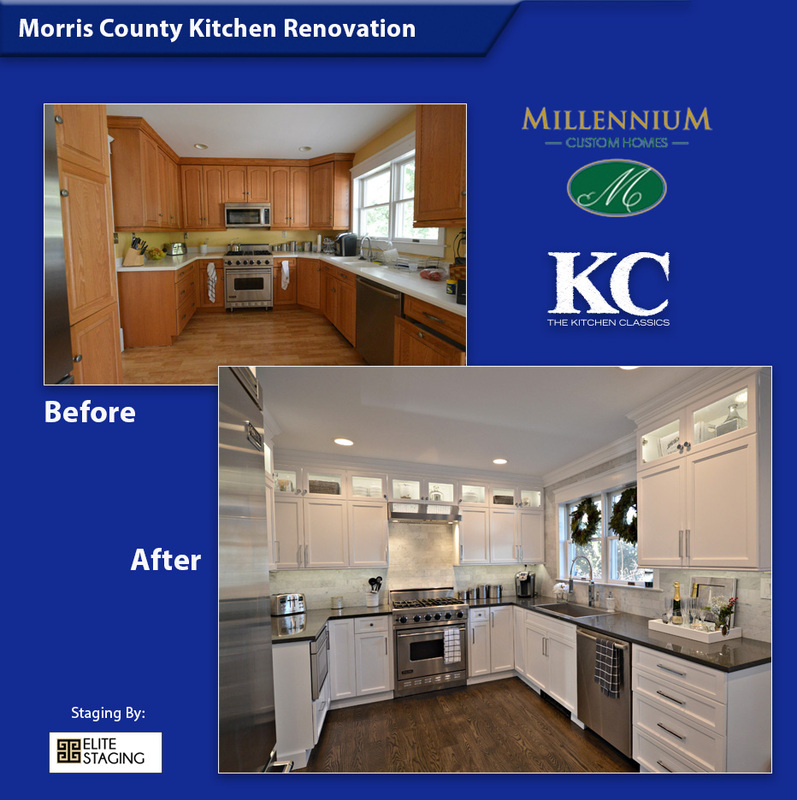 We were fortunate to work with Phil Calinda Jr. of Millennium Custom Homes, LLC, based in Livingston NJ (website) on a renovation project in Morris County. 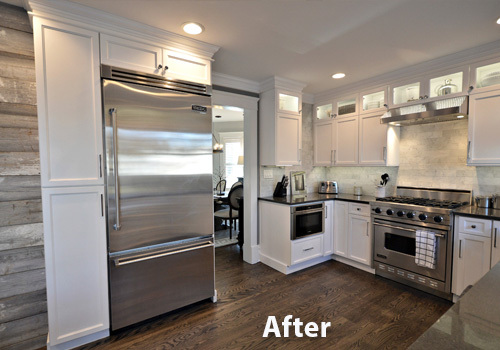 Millennium Custom Homes was overseeing an extensive house-wide renovation and were contracted to design and install the new kitchen. 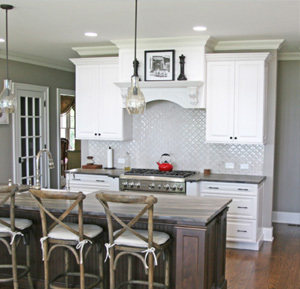 The kitchen features a white cabinet theme. 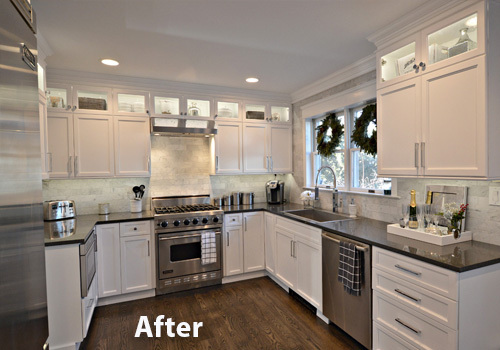 White cabinetry is a popular color for many reasons in part because white can make a space look larger than it is, and white can dramatically brighten a space, especially with the right lighting. 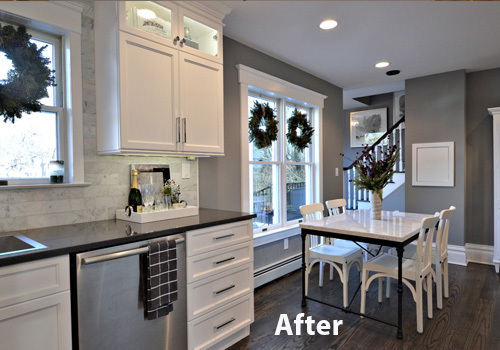 These white themed cabinets include glass doors at the top which in the hands of a talented designer like Kristine Ginsberg of Elite Staging and Redesign, LLC (website) show how dramatic these spaces can be, while remaining functional storage. 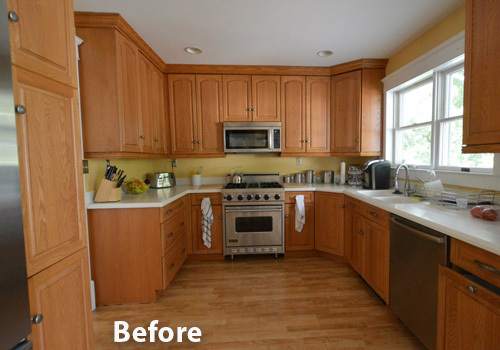 This was a wonderful project to be involved in and we are available to help single family home builders and remodelers with not only finished kitchens and baths, but a wide range of custom millwork.